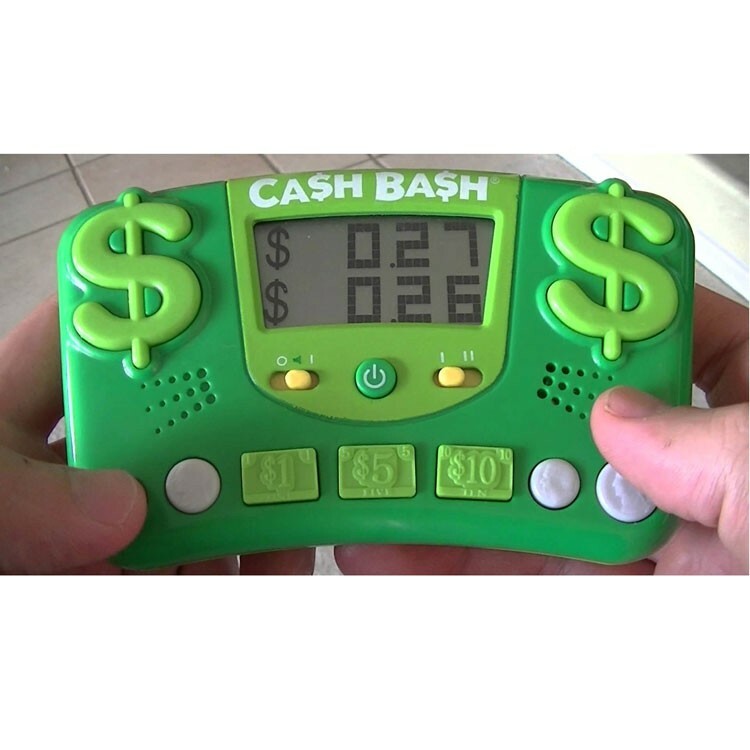 This hand-held money teaching game for kids will turn learning math into children's favorite travel activity! 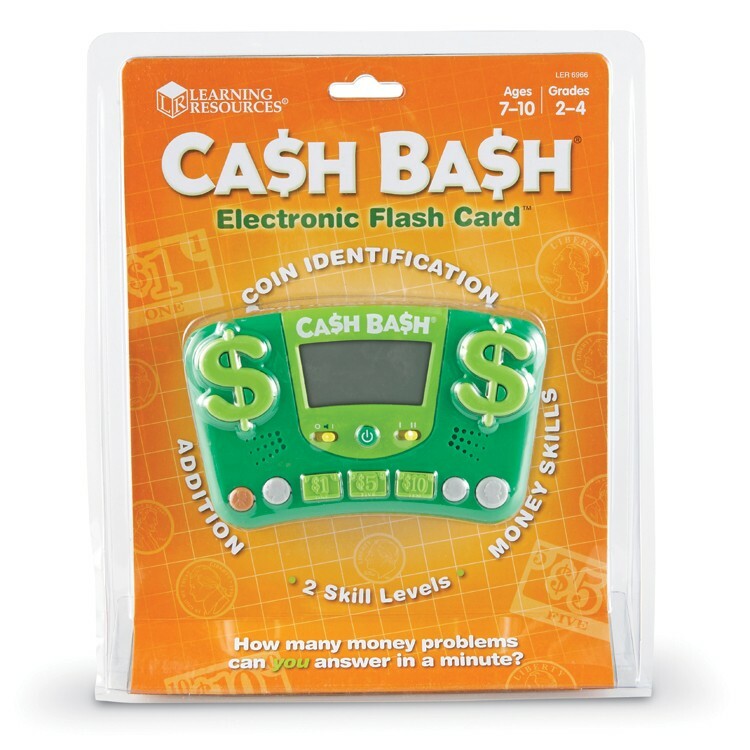 Learning basic addition has never been easier and more fun than with the Cash Bash Money Learning Electronic Flash Card by Educational Insights. 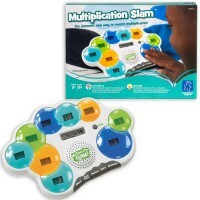 This interactive portable math toy is designed to combine addition facts with money for a fun learning experience. 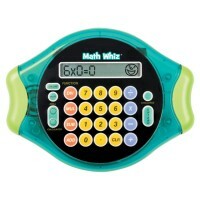 Kids will be prompted with an addition question on the math toy’s screen. 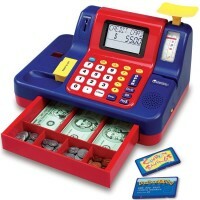 The young learners can select an answer by inputting dollars and coins. 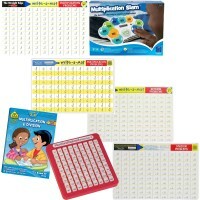 Children will learn all about different currency and its values and also about addition facts. 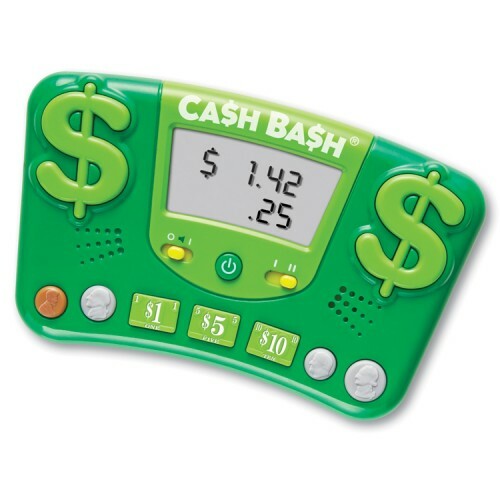 The Cash Bash Money Learning Toy from Educational Toys Planet will turn plane or car trips into fun learning experiences. 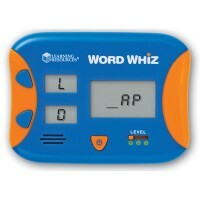 Your child can take it anywhere for instant access to tons of interactive practice problems of multiple levels with this electronic math flash card game. 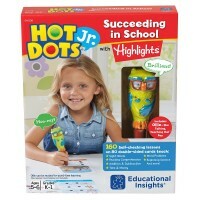 This electronic plaything requires 3 AAA batteries, not included. 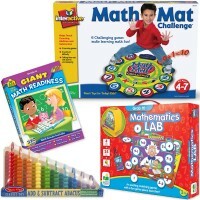 This travel math game measures 5 x 4 inches. 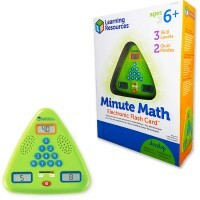 Dimensions of package 8.2" x 10.1" x 1.9"
Write your own review of Cash Bash Money Learning Electronic Flash Card. 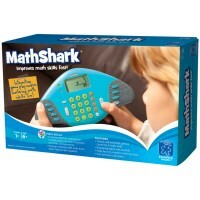 Rating: 5 for grandson by grandma the first one i got didn't work,but wrote a letter to the company to make sure i wasn't doing something wrong and today in the mail was another one, so one can see they stand behind there things, and i played with it and it works wonderfully. thank you so much for your attention to my email.